Great book with lots of info. Easy to use. Very well constructed. Pictures of examples are in color. Fantastic for helping me on my apprenticeship. Plenty of information presented concisely. I could do without some of the more basic information but this doesn’t detract from the book. A workshop must, a concise reference for toolshop engineers, designers. Saves valuable time and reduces math errors when time is of a premium. Would be good to have a section on 3d printing, many engineers are using this for prototyping. Great reference book overall, has lots of visuals and tables that make your job very easy! Love the wiring color code charts, plug & Sockets. Great book for an Electrical Engineer student!!! There is so much more information packed into this book than I thought could be packed into such a small size! It is definitely worth every penny I spent on it. I know that I will be referencing this book for years to come!! I will be getting the other Black Books in time. Clear concise information in easy to understand format!! Like how it’s haves a little history, and the content of the book and how’s it made! Great book to have!! This is an excellent reference manual with lots of diagrams and photos. Nice format, contains much useful information. Sturdy pages, good way to provide useful information. Section tabs are a nice addition to book, but were not provided for all sections. I have used "UGLY'S Electrical references" for years. It has been an industry standard as a go to for information. 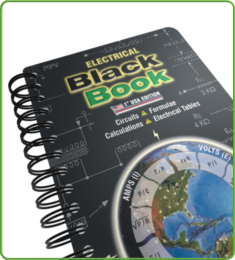 After reviewing this "Electrical black book", I believe a new industry standard has been set!! This is by far the most comprehensive reference book I have ever come across. The book paper will enable the book to be read for many years. Even when used in a shop environment. The colors used in the book greatly enhance the readability. I'm going to school for electromechanical maintenance and I found this book, it's the perfect reference book to keep in my bag between school and work. Small and very informative book, even comes with tabs to put on pages to quickly flip to a subject. H Chris, What state are you in? It is allowed to be used in the state of OREGON for all tests. Very compact book with a wealth of electrical information. This is the best electrical reference pocket book that I have seen in my 39 years in the business. Fantastic reference! Infinitely useful, even to those of us not "professional" electricians. Will give anyone enough understanding of the basics to handle most anything that comes up day-to-day. Copper ethernet pages have a few errors and some info that's probably about a decade (if not more) out of date -- but it's not wrong (just no one uses that stuff anymore). Great pocket reference! Very useful! Compact size that you can carry anywhere! Quality book with a wealth of important information. Excellent source of a variety of information, that is handy to have for non-professionals who don't do this kind of work every day for a living. Compact size with well protected and sturdy pages that can stand up to dirt, smudges, and wear and tear from normal usage in the field or in the shop. Are you human? If you answered yes then get this reference book. Being human one can only remember so much, and having a fast answer on a job site can go a long way! Compact size, layout, spiral binding, all the info in general. I honestly don't see any. This book is what it is and it works. Lots of GREAT info packed into a small size book, must have for every journeyman! I can see myself using this reference quite a bit. Well worth the price I paid. And the mini voltmeter will be tucked away as a backup. Thanks! Laminated pages, colors help keep things organized, contains up to date codes and standards. Text may be a bit small for people who cant see well. The copy of the book I bought wasnt bound properly. I had to remove the binding and redo it. Not a big deal, only took 5 min. It's like the uglies on steroids. All color charts. Supplies references for nec codes. Nice rugged pages and can easily fit in the front pocket of your tool pouch. I think this book is great for a quick reference. The size also makes it very convenient. 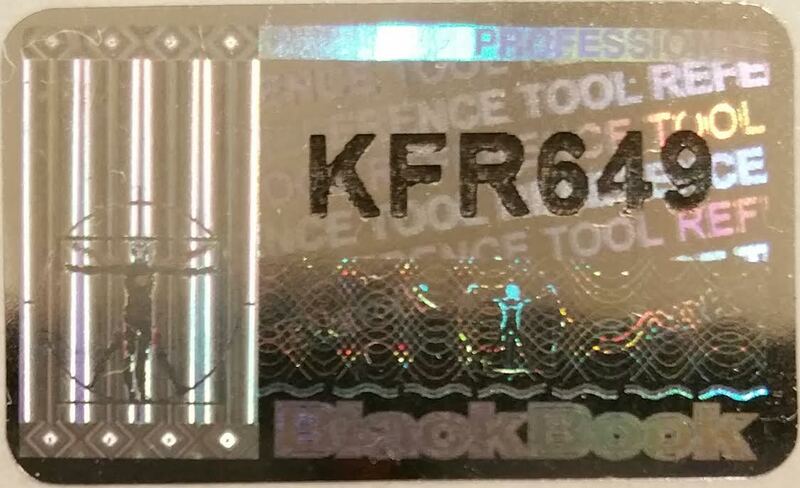 A must have for electrical techs. Much more information than similar reference books. this is the holy grail! This is a must for all sparkies, especially apprentices to have it nearby. I got given the engineers black book from an old friend and really like it, so I had a look online to see what else they had available and waited for the electrical edition to be released and bought it. I liked it so much I bought the fasteners black book for myself and bought another copy of the electrical black book and sent it to my old mate! in return for what he 1st gave me. Had it for 2 days and already used it to look up wire sizing recommendations. Great book, very handy and should be mandatory for all apprentices! Only complaint is some of it's in imperial not metric (i.e steel conduit bending + other things) Maybe in the 2nd edition. But over all an outstanding bit of kit in the tool box for beginners & guru's. I bought 2! Would be great in an Android & iPhone app! Some imperial references & measurements......Metric in Australia. But a great book! Awesome little all in one reference! Would recommend to anybody in an electrical trade. Great content for when you need to jog your memory on some things that you may infrequently do, but need to know. *Perhaps a bit more info on AC theory, like RMS etc. *The index tabs although quick to access most things might need a little more refinement in their placement, ie tools could be consolidated into basics and LED, Fiber optics and Data cabling could be split perhaps. Excellent book, worth the wait. I have now purchased a second one. Easy to use, perfect for the tool box. The only issue i find is every one else wants to borrow it. Almost as helpful as a screw driver, no toolbox should be without one. I have purchased one for each of my employees in order to keep mine!!!! I did my trade in electrical South Africa and having this high quality and durable "Electrical Black Book" has put the Australian standards in an easy understandable perspective. The perfect book for some of those little things you tend to forget. All the information that is provided in the book is extremely relevent and is presented in a clear and organized format. Hats off to the black book team. An excellant purchase! Small enough to put in my bag for projects out of the shop but very durable. Laminate pages are a plus,very informative,and handy! This book is a very welcomed addition to my tool box. Great book especially if you don't know electrical very well. Easy to learn information and laid out very well. Bought to assist in machine design and build. Exceeded my expectations on what I thought I was purchasing. Compact, very useful, easy to read, lots of information including lots of helpful tables and explanations of various terms and theory's. Best part was the multimeter gift! I am a field engineer on a mine site. This reference is invaluable for the trades as well as engineers. I use this reference on site as well as at home to make projects easier. Well put together, thorough, good binding, love the spiral bind so the book lays flat. Handiest of all for non-electricians needing a quick reference on the go! Pertinent information, quick and easy to access! Bought 2 books some pages were delaminated.